Gilbane delivers new, innovative Performing Arts Center that is one of the best performance venues north of New York City. 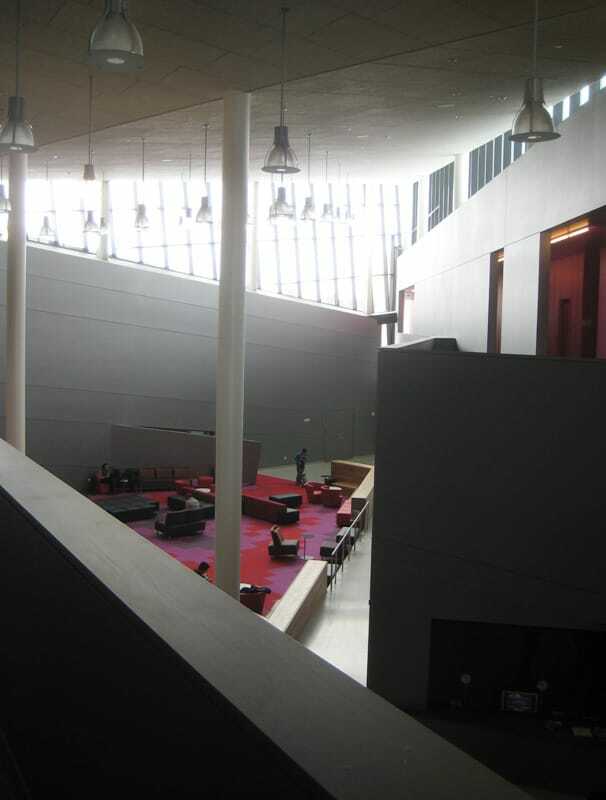 The State University of New York at Potsdam Performing Arts Center is the College’s dance and theater students’ first purpose-built space. And, it’s the first new building on the campus since the 1970’s. The new, state-of-the-art facility includes a variety of performance spaces, including a 350-seat proscenium theater with fixed seating; a 100-seat black box theater; and 4,000 SF of dance performance space with flexible seating on telescopic risers. The design of the building is dynamic and complex. 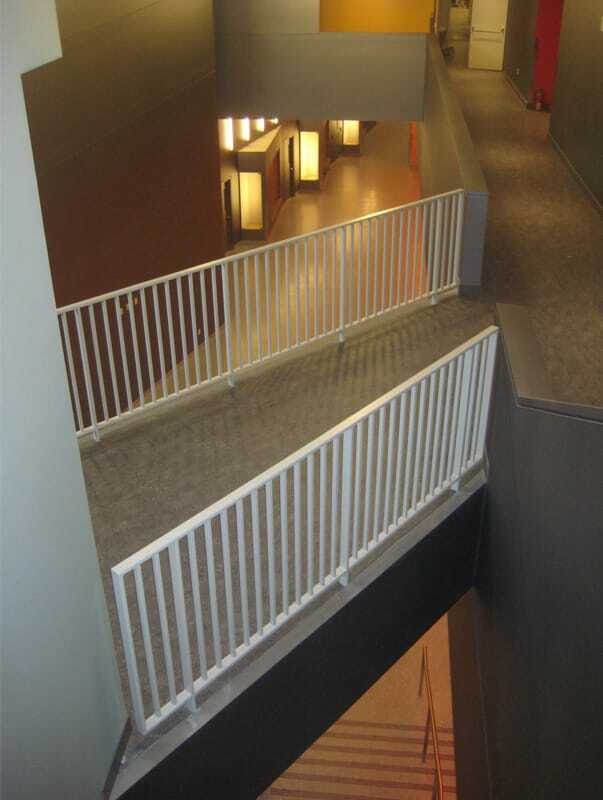 With numerous angled walls and windows, several split levels throughout, multiple stairs and ramps, the construction process required extensive coordination and quality control. Through the use of Gilbane’s Quality in Construction (QIC) Process, the Architect’s full design intent was achieved on schedule. The QIC Process includes the creation of full scale mockups before rolling out a certain aspect of the building. This way, the mock up could be approved by the Architect and be used as an example for the subcontractors as the standard in quality that the future installations would be held to. The mock ups also allowed the design team to identify flaws and errors prior to installation, which minimized rework and corrective actions in the field. 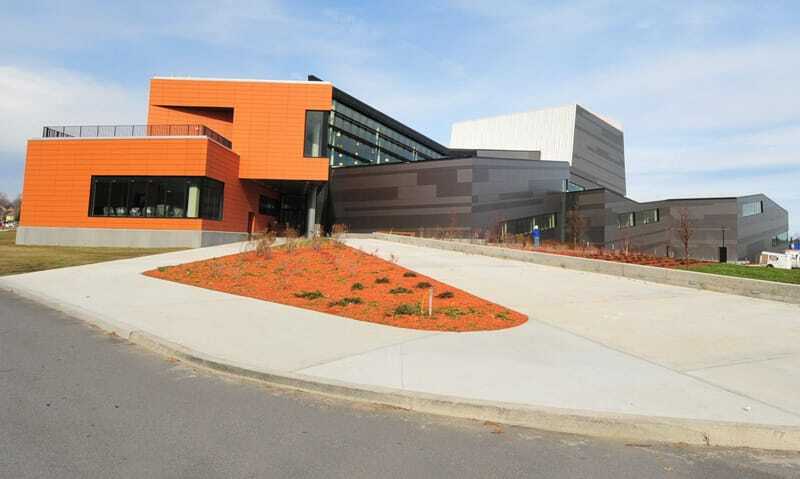 Gilbane helped to make the College’s dream of having a state-of-the-art performance center a reality. With a focused strategy built upon communication, coordination and quality control, Gilbane ensured that the full design intent of the Architect and the highly anticipated results of the Owner were fulfilled.